Since 1937, when Berkeley pumps were first used to irrigate the fertile fields of the San Joaquin Valley of Central California, up through today’s most challenging water transfer projects and residential water flow needs, the name Berkeley has stood for uncompromising quality and proven reliability. As Berkeley has grown, so has its product line. Today Berkeley leads the industry with the most comprehensive product lines available in the industry. Sego stocks the Berkeley submersibles, motors, IntelLiDrives, centrifugals and many other products. Our Lethbridge facility builds 6-10″ Berkeley submersibles (cast iron) for quick shipment to anywhere in Western Canada. Lethbridge is also home to one of the largest Berkeley inventories for the irrigation market outside of Berkeley itself! 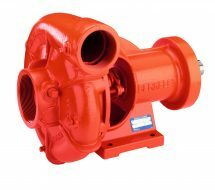 Also available: Line shaft turbines, sewage and solid handling pumps, bladder tanks, and controls.